I. B. Tauris & Company, 9781788312448, 288pp. Isaiah Berlin was one of the greatest thinkers of the twentieth century - a man who set ideas on fire. His defence of liberty and plurality was passionate and persuasive and inspired a generation. His ideas - especially his reasoned rejection of excessive certainty and political despotism - have become even more prescient and vital today. But who was the man behind such influential views? 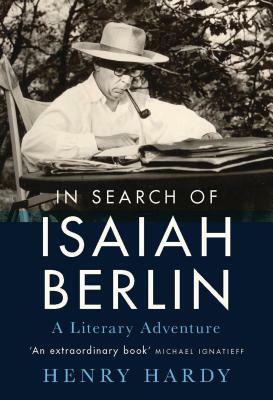 In Search of Isaiah Berlin tells the compelling story of a decades-long collaboration between Berlin and his editor, Henry Hardy, who made it his vocation to bring Berlin's huge body of work into print. Hardy discovered that Berlin had written far more than people thought, much of it unpublished. As he describes his struggles with Berlin, who was almost on principle unwilling to have his work published, an intimate and revealing picture of the self-deprecating philosopher emerges. This is a unique portrait of a man who gave us a new way of thinking about the human predicament, and whose work had for most of his life remained largely out of view. Henry Hardy is a Fellow of Wolfson College, Oxford, Isaiah Berlin's principal editor, and one of his literary trustees. He began editing Berlin in the mid-1970s (while a graduate student at Wolfson). Previously an editor at OUP, Hardy has been working full time on Berlin since 1990, and has now edited or co-edited 18 of his books, as well as a four-volume edition of his letters - the last volume of which (Affirming: Letters 1975-1997, co-edited with Mark Pottle) was published in September 2015 by Chatto.